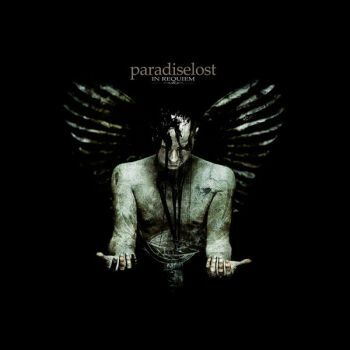 PARADISE LOST - IN REQUIEM VINYL (LP BLACK+CD) | Online Shop | Wizard LTD. Album: "IN REQUIEM VINYL (LP BLACK+CD)"
In 2007, PARADISE LOST initiated their return to a heavier, more metallic sound akin to classic albums such as “Icon” or “Draconian Times” with “In Requiem”. The album was a tremendous global success with chart entries all across Europe (e.g. #12 in Germany), and made the band explore the doom ‘n’ gloom of gothic metal mounting in 2015&apos;s “The Plague Within”, which is easily the band&apos;s most extreme album since 1992&apos;s “Shades Of God”. Now, it&apos;s the perfect time to allow all the fans out there to get their hands on a proper vinyl edition of the album that started the band&apos;s highly successful cooperation with Century Media Records. So, grab a glass of red wine, put on these eerie tunes and lose yourself in the dark beauty of “In Requiem”. The LP comes on 180 gram vinyl in a Gatefold sleeve, features special vinyl mastering by Patrick W. Engel/ Temple Of Disharmony (Tiamat, Iced Earth, Dissection) and includes the entire album on CD as bonus!